The date on which you win the lottery has everything to do with whether you’ll have to share the proceeds with your wife. Depending on where you live, some states mark the cutoff point for shared marital property as early as the date you separate, especially if you have a separation agreement. In other states, the cutoff point is the date you file a divorce complaint or the date when your divorce is final. If you’re living together and simply thinking about divorcing your wife, she is entitled to a share of your winnings. Otherwise, depending on how far along you are in the divorce process and the laws in your state, she may not be entitled to anything. If your state’s laws determine that your winnings are subject to distribution in a divorce, the next issue becomes how your state divides marital property. Nine states follow community property laws, whereby all marital property is divided 50/50. Your wife would receive a full half of your winnings in these states, which include Wisconsin, New Mexico, Louisiana, California, Arizona, Texas, Idaho, Nevada and Washington. If you live anywhere else, your state is an equitable distribution state. This means that a judge has discretion when dividing your property; he doesn't have to adhere to a 50/50 split. The judge might award your wife only 35 percent after considering several factors. Some states, such as South Carolina, will consider marital misconduct when dividing property. If you’re divorcing your wife because she committed adultery, she would probably not receive a full 50 percent of your winnings in such jurisdictions. Even if you purchased your lottery ticket at a time when your state’s laws say you do not have to share your winnings, the windfall will probably affect your divorce to some extent. If you accept your Lotto winnings in the form of an annuity, you’ll receive incremental payments, usually yearly. The court will almost certainly look to this money as income for purposes of calculating child support. Even if you win after your divorce is final, your ex will probably take you back to court to recalculate your child support to take your new wealth into consideration. If the payments increase your income dramatically, your wife may seek alimony. Courts base alimony on your income and your ability to pay it as well. If you take your winnings in a lump sum and invest it, and the investment produces income, courts will consider this when calculating child support and alimony. If you’ve won the lottery and you’re contemplating divorce, consult with an attorney as soon as possible. You’ll need to know your state’s laws; consulting with a professional can help you avoid a misstep that could cost you dearly. 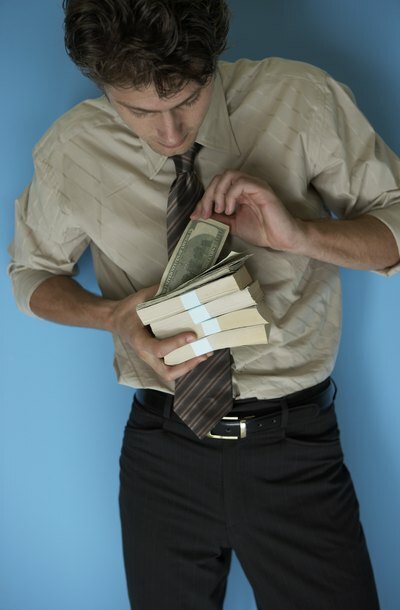 If you try to hide the money or avoid collecting it until after your divorce is final, it’s possible that a court might perceive this as fraud and award your wife even more than 50 percent. Law Offices of Scott David Stewart: Who Keeps the Lottery Winnings After Separation or Divorce? Atkins Law Firm: Are Your Lottery Winnings Getting Separated in the Divorce?